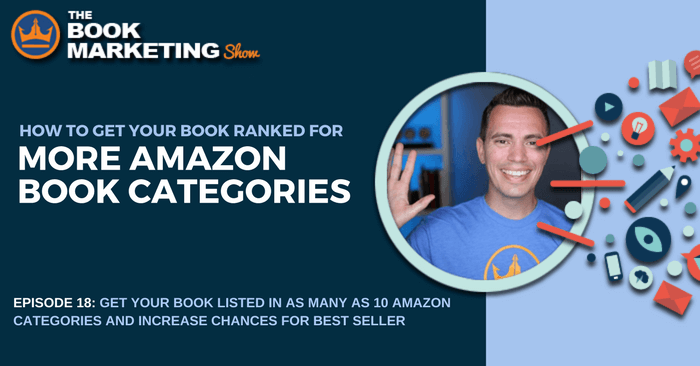 The process for adding your book to other Categories is simple, and if you listened to the last episode, Episode 17, of the Book Marketing Show, you’ll already be familiar with the process and the form you’re going to use. When you do your research to determine which Categories you book will do best in, try to niche down and avoid very broad categories. But also be sure your book absolutely falls into those niche categories. Find a category you want to rank for and copy the entire string. If it is, copy the keyword and go into your KDP dashboard, and make one of your seven Kindle Keywords be that Keyword. Go to the Help/Contact Page for Author Central and sign in. Next select “Email” and ensure your email information is correct. I’d like my book, (TITLE) with ASIN number (ASIN NUMBER) to be added to the following category: (PASTE THE FULL CATEGORY STRING HERE). Be sure to check out KDP Rocket and its new Category Search feature to find the best Category string to send to Amazon.